Alien Bee: Awesome UK Trailer Debut For WRATH OF THE TITANS Has New Footage! 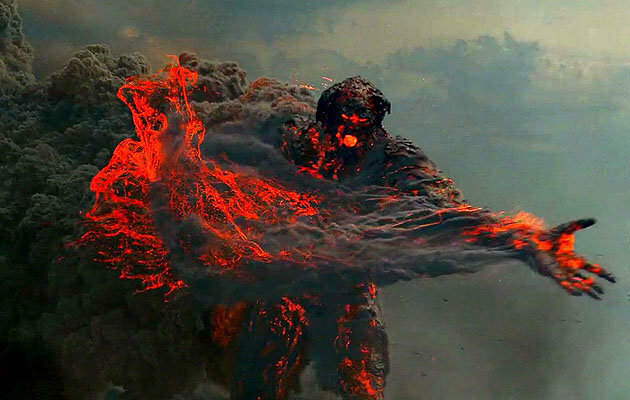 Awesome UK Trailer Debut For WRATH OF THE TITANS Has New Footage! Here's the UK trailer for WRATH OF THE TITANS that includes quite a bit of awesome unseen footage.This cool looking sequel stars Sam Worthington as Perseus , Liam Neeson as Zeus , Rosamund Pike as Andromeda , Ralph Fiennes as Hades , Bill Nighy as Hephaestus , Toby Kebbell as Argenor , Danny Huston as Poseidon, Édgar Ramírez as Ares and hits theaters on March 30th. Early word is this entry is absolutely much better then the 2009 effort.